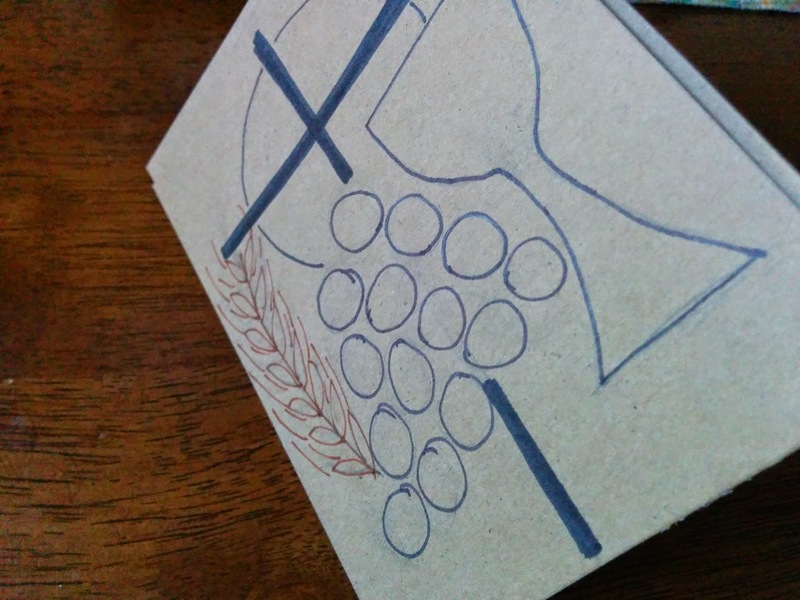 Because I got close to zero sleep last night, I'm sharing what the boys wore yesterday for Sunday Mass and a sweet little craft they made for our priests. That aside and their behavior aside the boys were pretty cute in their Sunday best. 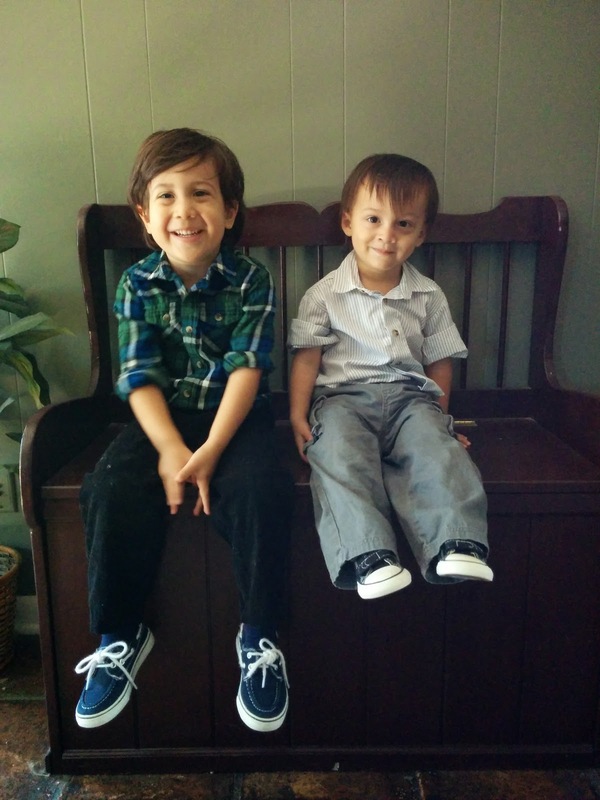 Gosh, these boys are adorable (haha, I know I'm biased)! Don't you just want to hug them, though? I do! Thankfully I get to! Everyday! Woot! Woot! Oh, and in case you missed it, I wrote about how these feet are growing way to fast for my mama-heart. Both of them have sized up, giving me both, yearning for them to stay as they are and baby-fever! Also, yesterday was Priesthood Sunday! Yay! 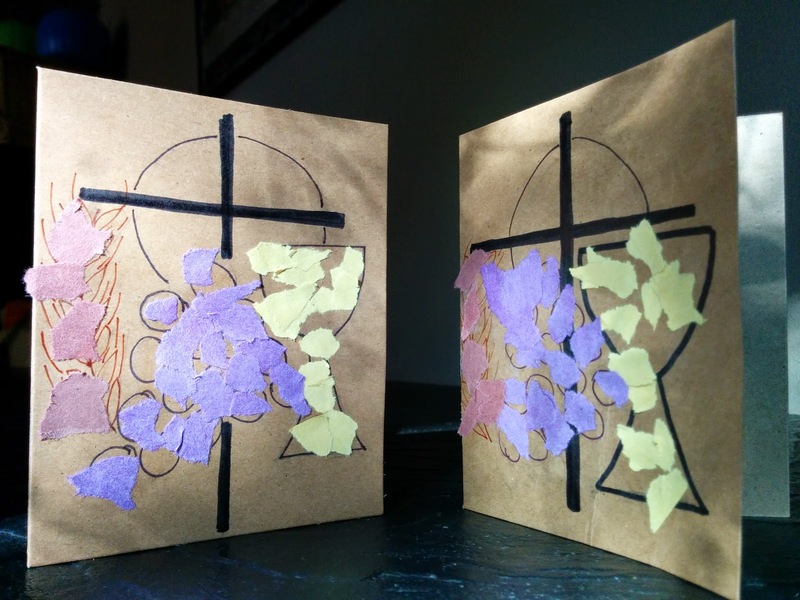 We certainly are grateful for our priests and were able to craft a card for the three of them over the weekend. The boys loved tearing paper and using the glue stick and I loved being able to share a little love with our wonderful priests. Mama's, draw something on the card for your littles to fill. 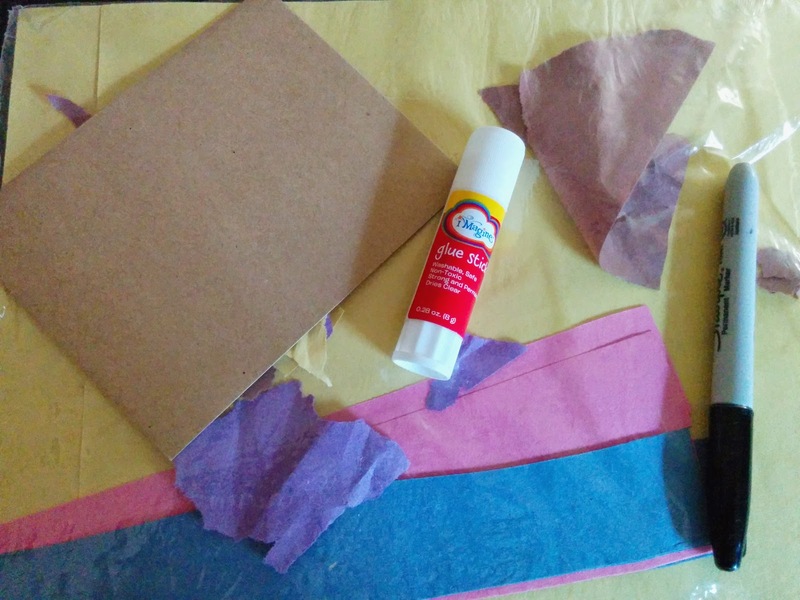 Let your toddlers tear an assortment of colored paper and let them have some glue-stick fun. I pray our priests enjoyed their cards from the boys and our whole family. They were made with lots of love, prayers, and fun. So, even though Mass behavior was sub-par, they couldn't wait to give their cards to their priests. It was really sweet. Cute outfits, sub-par Mass behavior, and toddler card gifts for Priesthood Sunday, I'll chalk it up to a winning Sunday. ;) Thanks be to God and His abundant graces! Pray you're feeling much more rested on this Monday filled with really awesome play weather (or at least in Texas!)! Did y'all do anything fun for Priesthood Sunday? I'd love to know! Love it - I am sure the priests really appreciate the love! 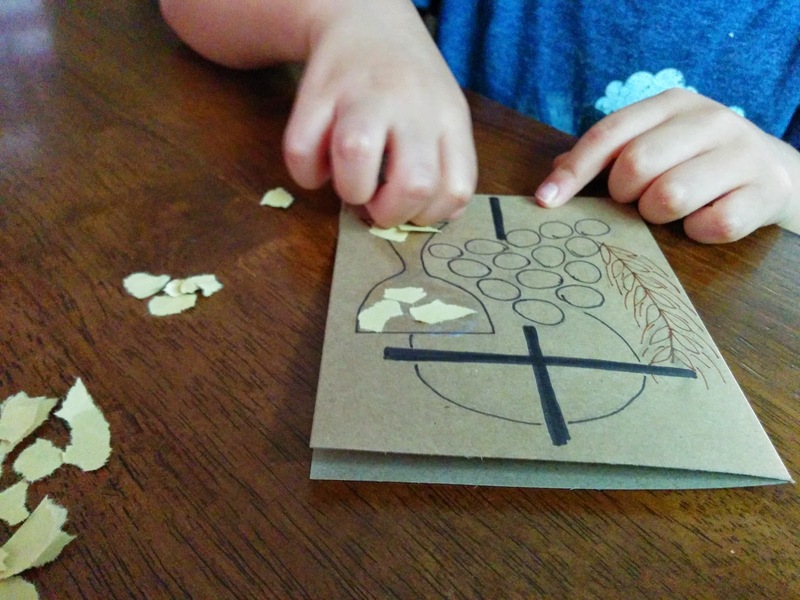 We always make our priests Father's Day cards! I hope so! We're new to the parish since we recently moved so I'm looking forward to us getting to know them better! And, definitely keeping this little card fun in mind for Father's Day! So perfect!